The repercussions of food contamination can be deadly. Therefore, it is important that your business takes the appropriate measures to prevent contamination. Knowing the right measures to put in place starts with understanding how contamination occurs. Do your staff know the answers to the following questions? Do you? What are the 3 types of food contamination? How can you prevent food becoming contaminated? What do the 4C’s of food safety stand for? In this post, we’ll examine the different types of contamination, the consequences of food contamination and tips for preventing food contamination because understanding is the first step in prevention. Why Care About Food Contamination? 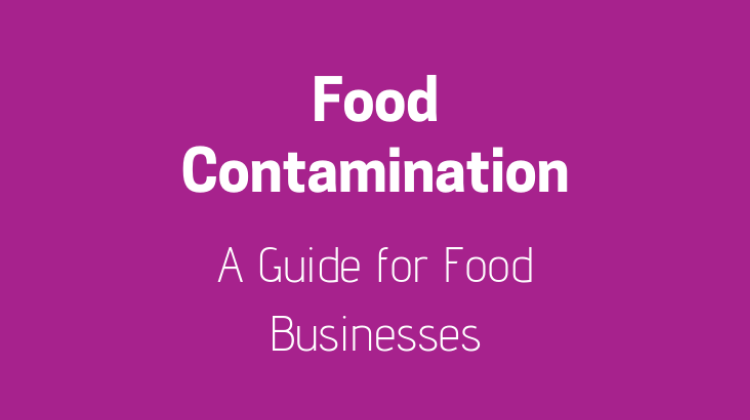 Not only is it a legal requirement that food businesses ensure all food is safe for consumption, but a single case of food poisoning can cause serious problems for your business. Consequences range from a drop-in reputation to fines and imprisonment. Therefore, staying on top of food hygiene within your business becomes crucial retaining customers and building your brand. But, wait, what exactly are your legal requirements? Every food business has certain food safety responsibilities which have been outlined by the Food Standards Agency. So, let’s delve deeper into what can make food unsafe to eat. Sources can be separated into 3 broad categories: chemical, physical and biological contamination. Chemical contamination occurs when foodstuff contain harmful chemical substances. Over the years certain regulations have been put in place restricting levels legally allowed to be found in food. Buying from a responsible supplier with the current UK approvals is often your best bet when purchasing meat and washing all vegetables prior to use. Understandably, chemical contaminants are the hardest form of contamination to control. Acrylamide has become a hot topic in the food safety world because of research suggesting it causes cancer. 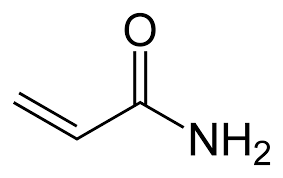 Cooking starchy foods, such as potato and grains, at 120oC or above leads to the formation of acrylamide as certain sugars and amino acids react. Note: Coffee and baby foods can also be affected. However, the jury is still out on the negative health benefits seen through the consumption of this chemical; many questions about its carcinogenic nature are yet to be answered. Nevertheless, in the UK, current legislation forces food businesses to consider acrylamide in the preparation of food. Aim for a golden yellow colour or lighter when cooking starchy foods. Don’t keep your potatoes in the fridge (otherwise they undergo a process called cold sweetening leading to increased levels of acrylamide upon cooking). Physical contamination occurs when a foreign object enters the food stuff. Food should be covered, where practicable, to prevent cleaning products and foreign objects from falling into the food. Adequately controlling pests including insects and rodents. Remove and dispose of any packaging as soon as it has been removed. Repair or replace any broken equipment promptly. Teach employees to report any breakages to your responsible person who deals with faulty equipment. Store cleaning products away from food. Do not routinely use poisonous bait inside preparation areas. Select utensils which are resistant to acid and salts. Decant canned food, once opened, into food-grade containers before storing it in the fridge. Dilute all cleaning chemicals to the correct level. Ensure all ceiling structures, pipes and equipment are rust free and non-flaking. Do not allow food handlers to wear jewellery. Chewing gum and sweets should not be eaten/chewed whilst working with food. Maintenance operatives and visitors should be briefed on your food hygiene practices. Biological contamination occurs as a result of harmful living organisms growing on consumable food. These microbes may be harmful in themselves or they may deposit harmful toxins on food. And, are passed onto food through a process known as cross-contamination. This can either be directly or indirectly. Direct Cross-Contamination: A contaminant comes into direct contact with food i.e. a piece of raw chicken touches a piece of cooked, ready-to-eat chicken. Indirect Cross-Contamination: A contaminant is passed onto another piece of food via a vehicle i.e. a food handler touches a piece of raw chicken and then fails to wash his/her hands before touching cooked/ready-to-eat food. This most common type of contamination found in the UK. And, harmful microbes are the cause of food poisoning. So, let’s look at the most common type of bacteria. 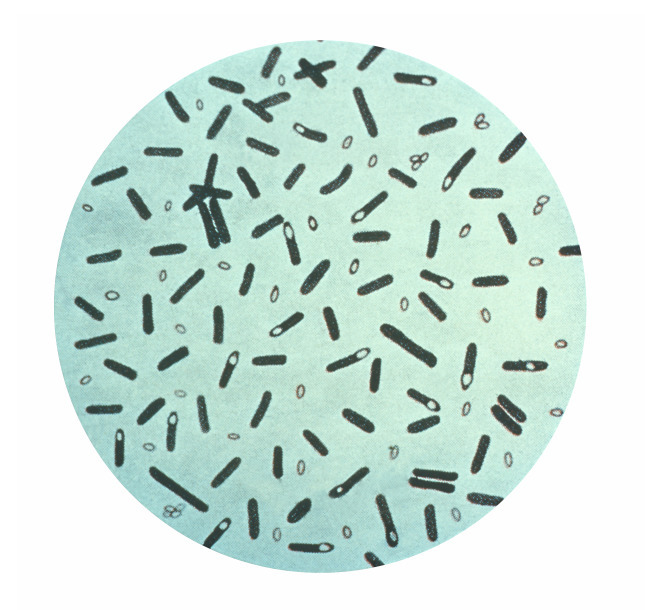 Under the right conditions, harmful bacteria can multiply rapidly and then continue to multiply after being consumed. A group of bacteria found in the gut of animals. 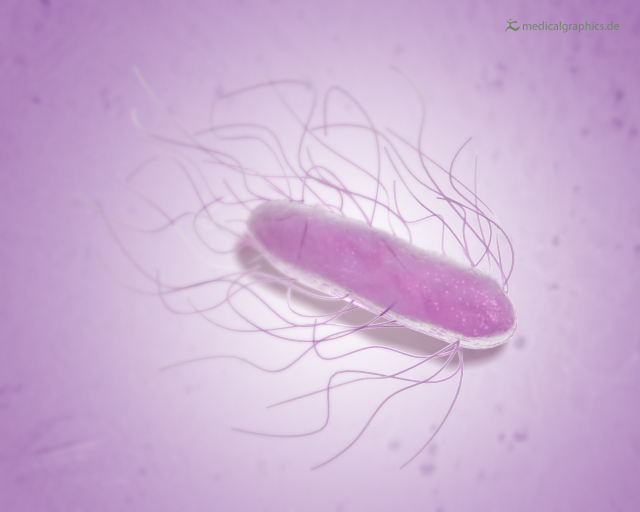 Salmonella bacteria are present in raw meat, undercooked poultry, unpasteurised milk and some eggs. Often found on ready-to-eat foods such as cooked meats, soft cheeses, sandwiches, smoked meat and fish, pate and cooked shellfish. Don’t use these foods past their use by date and ensure that they are kept under the correct conditions. Sufferers offten present mild symptoms such as diarrhoea and vomiting. This is the most common cause of food poisoning in the UK, with 4 out of 5 cases resulting from raw poultry. 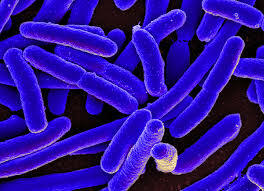 A bacteria found in soil. 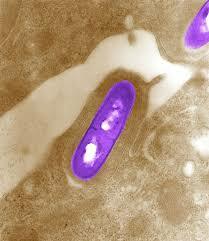 The most well-known strain causes Botulism which is a very severe condition and can be fatal. Clostridium can found in many things including honey, improperly canned goods and pots of garlic. Found in the intestines of humans and animals. Despite, most strains being harmless, some strains pose severe health risks, such as strain 0157. Outbreaks have resulted from raw and undercooked meat, unwashed salads and dirty water. As with most diseases, those at greater risk are young children, the elderly, pregnant women and those who have a weakened immune system. However, the best part is…. These can all be prevented by following the 4C’s. 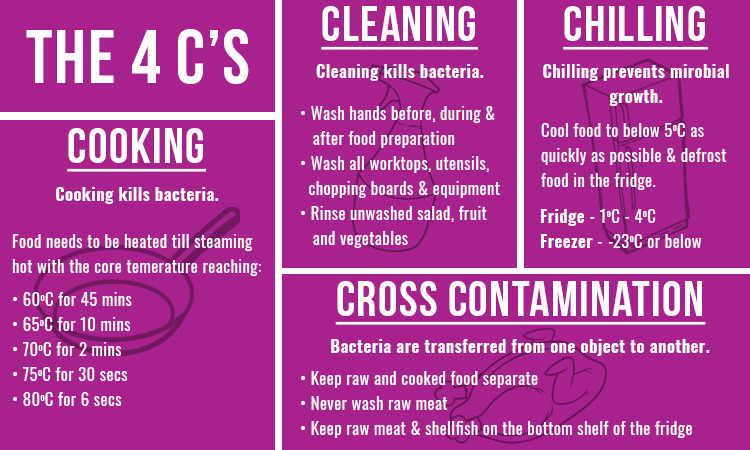 A food business can stay food safe and prevent biological contamination by following the 4 C’s. Cleaning kills bacteria so that they cannot spread. Washing hands before, during and after food preparation as well as after going to the toilet. Worktops, utensils, chopping boards, knives, and all other work equipment should be cleaned regularly. Rinsing unwashed salad, fruit and vegetables in drinkable, cold water. A cleaning schedule can really help you stay on top of things, check out the FSA’s example. Cooking kills bacteria on food when done properly. But, because bacteria grow within a temperature range of 5oC to 60oC, dubbed the “danger zone”, the core temperature of food being cooked needs exceed 60oC for specific time frames. 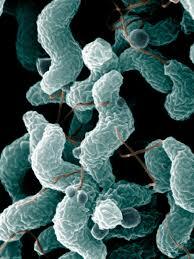 Otherwise, food may still contain traces of harmful bacteria which can multiply further. Monitoring this through a temperature probe and recording the temperatures daily is a good practice and should be included in your HACCP Plan. Want more info on high risk foods? Visit our blog on high and low risk foods. Chilling, either by refrigeration or freezing, slows down and even stops the multiplication of bacteria. However, inadequate temperature control of high-risk foods (such as cooked meat) is one of the leading causes of food poisoning. Therefore, it is an important aspect of food safety to get right. Cooked food should be refrigerated as soon as possible (usually with 1-2 hours) if not being used. Do not place boiling hot food straight in the fridge as this can cause it to raise in temperature above 4oC. Defrosting food should be done in the fridge or microwave. Your fridge should have clearly labelled sections with raw meat and seafood on the bottom shelves and ready-to-eat food on top shelves. Cover all food within the fridge (where applicable) to prevent anything falling into the food. Do not overfill the fridge and ensure there is adequate air circulation. Rotate your stock each time you have an order arrive. Oldest to the front, newest to the back. Check all best before and use by dates daily so that anything that has expired can be thrown away. Monitor and record the fridge and freezer temperatures twice a day. Cross-contamination refers to the transfer of microorganisms from contaminated surfaces to uncontaminated surface. Always keep raw and cooked food separate. Never wash raw meat (this helps to spread dangerous bacteria). Cover raw meat and seafood and store on the bottom shelves of your fridge. Wash utensils, chopping boards, plates, etc thoroughly between handling raw and cooked foods or use different sets altogether which is the preferred option. After every use, anything that has come into contact with food should be cleaned with the correct cleaning products. Hands need to be correctly washed before, during and after handling any food and after going to the toilet. 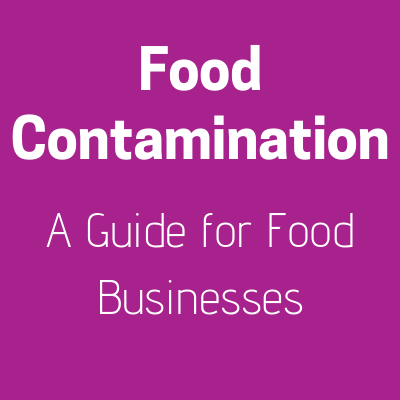 So, hopefully you have got to grips with food contamination and know how you can prevent it in your business. Consumers can report a problem directly to the Food Standards Agency. 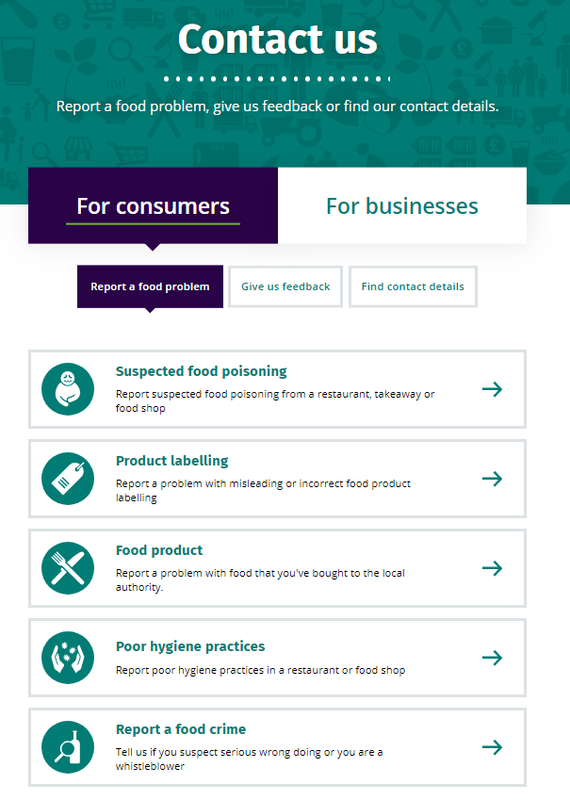 You can report an incident of food poisoning, incorrect food labelling, poor hygiene practices or serious food crimes. Additionally, businesses and employees can report issues including times where they have sold or produced food that is unsafe or any serious food crimes they have witnessed. Handling food contamination is one of the many aspects of food safety that needs to be controlled. Without the correct preventative measures in place, your business can leave itself open to legal action, a drop in reputation and lower hygiene ratings. Remember 4 C’s: cooking; cleaning; chilling and cross-contamination and you shouldn’t go far wrong. Most of the methods talked about here are easy and simple to implement. Not only are these considered industry best practices but they are your responsibilities as a food business. So, which method are you going to implement first? Let us know in the comments!! Below, I have compiled a list of resources you can use to read up on all things food safety. Safer food, better business – Guides on food safety for caterers, retailers, care homes and childminders. North Yorkshire County Council’s Food Safety Page – Information for food businesses operating in the North Yorkshire area.